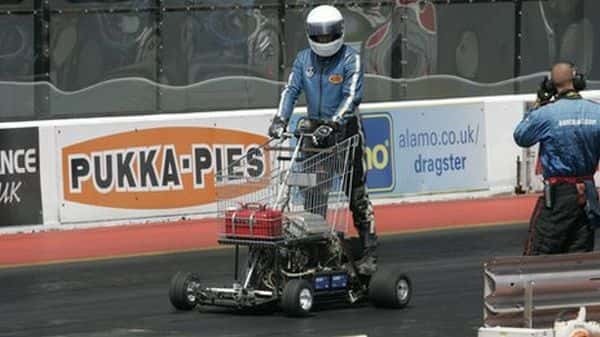 This cool Jet Powered Shopping Cart was designed and built by 52 year old Matt McKeown. Matt is from Devon in England and he owns a company named Plymouth Karting. 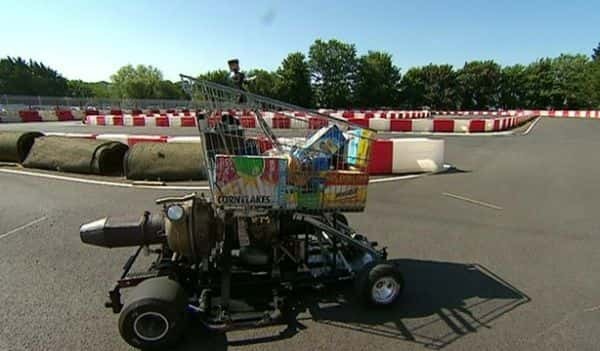 This shopping cart can travel at speeds of up to 44 miles per hour. In order to get his name in the Guinness Book of Records he plans to make it go even faster. 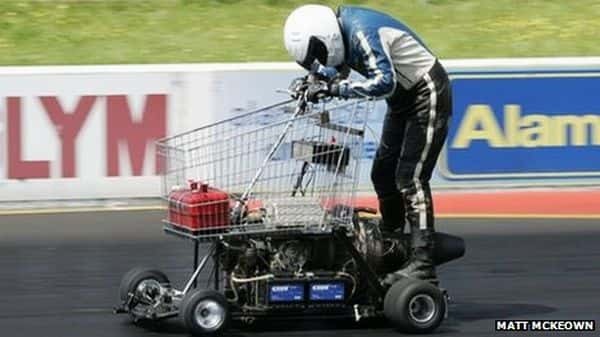 Matt says he will modify the shopping cart until it can travel as fast as 60- 70 miles per hour in order to achieve this. The cart is powered by a second hand helicopter engine. Matt plans to get the cart to go faster by installing an afterburner. Go cart wheels have been used to give it more stability and help it to cope with high speeds.